"Today we announce that Sankeys Brooklyn will close for business. We will no longer be involved with the former venue, SRB. Sankeys Manhattan failed because our franchise partners were unprofessional on an operational, promotional and musical level and we as franchisors were inexperienced and naive in our initial approach. We gave far too much control and trust to people we thought were up to the job who clearly were not. We were promised direct and full control of all aspects of the new Brooklyn venue. 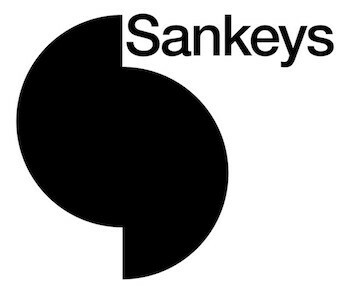 We relocated key personnel from Ibiza to ensure the club would immediately come across as Sankeys, a social experiment rather than a franchised brand as in Manhattan. In order to create that true Sankeys magic it was essential for us to have complete control, the sound, the artistic vision and the management being fundamental to our success.We were lied to, we never had control of any of these things and for that matter on pretty much anything in reality. Once we committed to the move and started work, the franchisee failed to deliver on any of the agreed terms and we soon found ourselves in an untenable position being both unsupported financially and operationally. When we arrived we were told a week before the club opened that there was no money for promotion or production, making our job impossible. We were always told we would be given 3 months to make this work, we actually had less than 3 weeks with no support as promised. We were therefore left with no other alternative than to terminate our relationship with the franchisee immediately. We will still continue with all Sankeys activities in Europe, the remainder of our 20th anniversary tour and first ever Sankeys UK festival. 2014 was our best season to date and we are looking forward to showcasing our "Next Generation" in 2015 for an even bigger season. We are sorry for the inconvenience caused to our US fans, DJs and artists on this chapter, but as the say "The show must go on" and it will but in another part of the world for now."